#1 Island In the World-Again! This announcement follows the recognition of several properties in Belize in the 2014 Travellers’ Choice Awards. The Belize Tourism Board (BTB) is a statutory body within the Belize Ministry of Tourism and Culture, and it is governed by a Board of Directors appointed by the Minister of Tourism and Culture. The BTB works in conjunction with members of the private sector – including the Belize Hotel Association, Belize Tourism Industry Association and Belize National Tour Operators Association – and is dedicated to building tourism in the most economically and environmentally sustainable manner. As a part of its responsibilities, the BTB promotes Belize as a premier tourism destination to both in-country and international consumers. Among its outreach to the international travel market, the BTB markets the country’s unique attractions to travellers, members of the travel trade industry and media outlets in key markets. Why would you post a picture of the Blue Hole, many hours away from Ambergris Caye, when doing an article on the #1 island in the world? 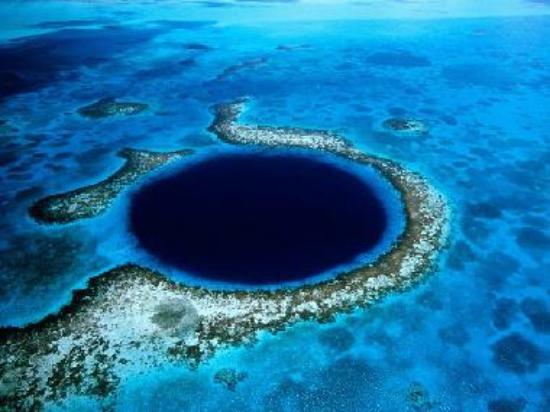 We were trying to streamline the article posted by the Belize Tourism Board (BTB) which included the blue hole. Notably, whilst many visitors are interested in the rich offerings of the Ambergris Caye many are drawn to the Blue Hole.